After reading Ankur’s “The Teenage Romance” I got inspired, may be because something is common between us and then I decide to write about my love STORIES. I was in III std. first time I felt that I was missing somebody’s presence in the class when she was not in the class. Generally she used to come late in the class so I used to keep one seat for her. When my other classmates ask why you are sitting on two seats I used to tell” I am waiting for my friend (who got shifted to the other branch of school 🙂 🙂 ). Then after completing 5th std I moved to A.M.U. and she remained in the same school. With the time everything washed away. Some 3-4 months back I was chatting to one of my III std friend and after a causal chat of 10 mins I told him that I had a crush on that girl , He replied “ She is my sister”. I disconnected immediately. But my agony was she used to call me BHAIYA as she was 2 years younger to me. We used to talk and talk and talk and this taking was not digested by family as my mom realized that her son was going in a direction which was wrong and “socially unacceptable”. Suddenly a nice girl (earlier views of my mom) turned into ill mannered, impolite, and inurbane . So after keeping a check on my every movement for one long year my mom asked, “do you in love with her?” I replied “Choti hai mujhse, kaisi baat karti ho”… I am best at how not to tell a truth with out telling a lie (Some other time I will write on it). One fine day she told me that she is committed to somebody else. That was the time the sky fell on me, nothing left. I dont want to live, OMG, For one long year I was lying on my bed and listening to “Tum Bin” songs at the same time she was eating cold coffees, cold drinks, ice creams at Milk bar. Next month together with some more friends we went to meet His Holiness to Delhi. There she asked me if I could take her to PCO as she wants to make an important call. So I took her, there at PCO I was standing outside, After one long hour I felt I am a stupid and then I realized she was talking to her BOYFRIEND. One more time heart broke. So what 3 billion more girls are on this planet earth. Every time I fall in love I thought this time this is true love 100%. But I never proposed any girl may be because of fear, fear of loosing her friendship?? ?, No no fear of what if she will say “YES”. 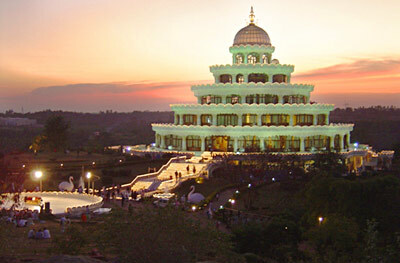 Last June I went for AOL Advanced course (Blessing course). There I realize what if I will get one of the above or someone else. This search is never ending, after marriage people fall in extra marital affairs or they got attracted towards others. So this search is never ending or we can it NOW. Desires are never ending.One will fulfill other will arise. Then I realized my search is over. And yes it is over.